An only child, Lenny Dee was raised in Logan Square, Chicago on Altgeld at California Avenue, and later moved to Florida. It was believed the family had eleven or twelve children but this was untrue. His father operated a tavern in Logan Square. Lenny was married with five children. His eldest son, Lenny, Jr. (known as JR) played drums in his Dad’s shows. 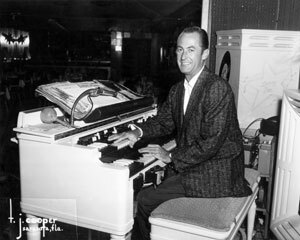 Lenny used a Hammond Model A converted to an AV (post World War II vibrato replacement for tremulant), added a Hammond Solovox and had a vibraphone installed inside the custom bench. Also, a control panel was located above the drawbars with potentiometers, drawbars reiteration, and other controls. There was also a foot switch mounted on the left side of the expression pedal that threw the tone wheel generator flat to the notes being played, useful for special effects. Releasing the switch restored the generator to normal speed. He used Leslie speakers Model 31-H. Very famous on this organ was Lenny’s tape loop, which re-echoed the sound of the organ, a trademark sound of his. The console was finished in custom white. His rendition of Mule Train using the tape-loop and his voice through a microphone was famous. In the early 1960s, he withdrew the four conventional tone cabinets and added Leslie speakers. 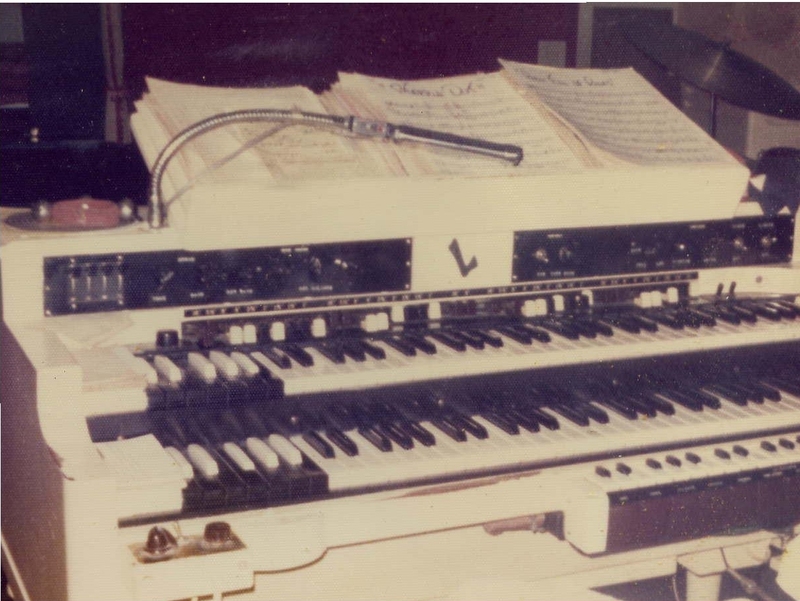 In 1967, he started recording on the Hammond X-66 with full orchestral accompaniment. In 1972, he changed to the Hammond Concorde. In the early 1960s, he recorded on Wurlitzer (Ruby, I Left My Heart in San Francisco) overdubbing with the Hammond Model A. In the 1970s, a few songs were recorded using Yamaha (radio waves on Also Sprach Zarathustra and the train effect on Love Train) and Thomas (Take It To the Limit) organs. He also used an ARP synthesizer (The Most Beautiful Girl, Leave Me Alone (Ruby Red Dress)). Interestingly, Len was the only artist to record on the Hammond Piper, mainly for muted trumpet and harpsichord sounds. Lenny Dee had a style that was uniquely his own. He played with scintillating animation and his rhythm was outstanding. You couldn’t listen to him without tapping your foot! He played in a traditional jazz style of the boogie and swing type. His drawbar settings were unconventional and produced interesting effects. In later years, an orchestra was added to his recordings and he played in a more conventional style. He was known in the 1970s as a great country organist. After touring the nation in the early years, he settled down in 1967 and opened Lenny Dee’s Dolphin Den on St. Petersburg Beach, Florida. For ten years, he delighted organ lovers and tourists alike with his scintillating style, little sung ditties, jokes and hats. Shortly thereafter, he opened Lenny Dee’s Kings Inn, only a few miles from the Den. 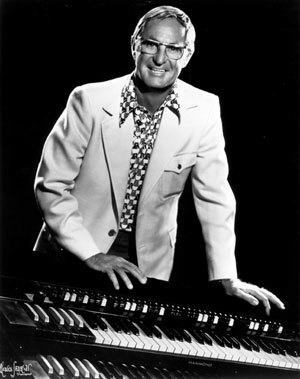 In 1999, Len toured the nation and performed on a cruise ship using a Hammond-Suzuki Elegante, after which he retired in 2003. Platinum record – Plantation Boogie, 1955 This record reached #18 on the charts. A WORD OF CAUTION – THERE IS ANOTHER PERFORMER BY THE NAME OF LENNY DEE WHO IS A FORMER DISC JOCKEY FROM NEW YORK. THIS IS NOT THE ORGANIST! HE PERFORMS X-RATED TRACKS, WHICH ARE READILY AVAILABLE, I’VE SEEN MANY OF HIS ENTRIES ON THE INTERNET. WHEN BUYING RECORDS, CDs OR DOWNLOADING MUSIC FILES, MAKE SURE THAT IT IS THE ORGANIST YOU ARE RECEIVING MAKING SURE THAT IT IS A SONG. It is with great sadness that I inform you of the death of Lenny Dee. He died on Sunday, February 12th at home under hospice care. I knew him personally and traveled to Florida frewquently to see him. His #1 song was Plantation Boogie in 1955. He was the last surviving of the immortal greats of the Hammond Organ. The Tonight Show with Jack Paar and the Lawrence Welk Show. ST. PETERSBURG - Lenny Dee, a nationally known entertainer who was a fixture at nightclubs on Pinellas County beaches for more than 30 years, died Sunday at home. He was 83. Born Leonard George DeStoppelaire in Chicago, Dee eschewed his father's wish that he take over the family tavern and became an entertainer after serving in the Navy during World War II, his widow, Hendrica Dee, said Monday. Having sung in the church choir and played ukulele and accordion as a child, Dee used his GI Bill benefits to attend the Chicago Conservatory of Music, where he studied organ, Hendrica Dee said. Dee soon moved to Nashville, Tenn., where country singer Red Foley heard him playing his customized Hammond organ at Plantation Inn and helped him get a record deal with Decca, Hendrica Dee said. He went on to record 56 albums. His biggest hit came early on, in 1955, with the instrumental "Plantation Boogie." Dee played gigs with the big bands of Jimmy Dorsey and Ray Anthony, and he appeared on "The Ed Sullivan Show," "The Tonight Show With Jack Paar" and "The Lawrence Welk Show." 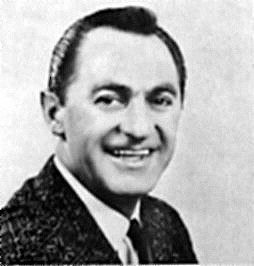 In the mid-1950s, the man known as "Mr. Entertainment" had his own TV show in Tampa, "Ladies' Day With Lenny Dee," on WFLA-TV. As a child, Dee often visited his grandparents in Sulphur Springs, Hendrica Dee said. Soon after their marriage in 1960, the couple settled in St. Pete Beach, where Dee held court during the winter in the Stampede Room at the Desert Ranch. In 1967, Dee opened his own supper club, Lenny Dee's Den, at Dolphin Village. A decade later, he opened Lenny Dee's Kings Inn on Treasure Island. In between gigs, he found time for his other loves, fishing, golf and flying small planes, Hendrica Dee said. Dee's nightclub act featured his signature organ style coupled with kitschy humor, racy jokes, a miniature poodle named Miss Muffet, and a rack full of goofy hats. "Miss Muffet is half the show," Dee joked to The Tampa Tribune's "Show Biz" columnist Jack McClintock before a 1965 performance. That night, Dee started his show by donning a fringed sombrero. "Damndest lampshade you ever saw, ain't it?" Other jokes had conventioneers from Texas and Alabama cracking up, McClintock reported. Miss Muffet apparently did little to justify her billing that night, but the pooch could bark answers to mathematical questions, smile on demand and sneeze at just the right moment, Hendrica Dee said. Her husband would close his shows wearing a sailor's cap and playing a medley of patriotic tunes. A small electric fan provided the wind for a small U.S. flag perched on the organ. "He had his own style, and he improvised," Hendrica Dee said. "It was Lenny. He was unique." MEMORIALS: SPCA of Pinellas County or Friends of Strays in St. Petersburg. Lenny Dee, Purchased my mother's A from Marge and Vick Kephart who owned the Hammond Organ Studios in Ft. Myers, Florida. Mother traded it in on the A-100 that I now have with the 3/way B-3 modification that splits off to two rebuilt Leslie 122s. Peter D. Abrams did the mod. He is an electrical engineer, TV specialist, but loves B-3s and A-100s. Mother purchased the A from WFDF in Flint, Michigan about 1945 when they up-graded it to a B-3. It was in very good condition, but did have a few caps replaced while we owned it. I was just a kid of 14 when I met Lenny Dee when he was practicing in a bar in Sarasota. The owners would not let me in, but he insisted that it was ok for me to listen. Later he visited Vic and Marge in Ft. Myers, and played some demos there. We renewed the occasion and became very friendly. I was then that he realized that he had Mother's old A. He said, "I like the bite of the A." I do have a lot of his early recordings and am not too impressed with his later, which were more or less strictly commercial. there's the singing and dancing and fun. I had the pleasure of seeing and hearing Lenny Dee in Ft. Lauderdale. I was a little surprised at the amount of comedy material he put into the show. Being a Hammond fan I of course enjoyed his style. Lest those of us think everyone likes Hammonds I overheard a conversation where one fella said: "Yeah his music is great- *It Grates*". Lenny made great use of tape delay rather than Hammond reverb to enhance his playing style. Not very run of the mill stuff. As this was back around 1960 Hammond styling had not gone to LH bass so he played pedal bass. If I remember correctly left hand was largely after beats and possibly even some counter melody and afterbeat styling. He announced that at that time Hammond had Ethel Smith to play the fast stuff, Jesse Crawford to play the sweet stuff and he (Lenny Dee) played the rest and the novelty tunes. Today is truly a sad day for organ music lovers everywhere. I have the pleasure of Lenny Dee's autograph on one of his many albums. He was one of my most favorite Hammond organists. He's up there with George Wright. This is the passing of another legend from when the popularity of the pop organ style was at it highest. Many an organ was indirectly sold by him because of the many recordings. He had a great club on St. Petersburg Beach called the Lenny Dee’s Dolphin Den. I had the pleasure of meeting him and even working with and he was a great person and a lot of fun. Yes, my wife and I have been to his shows here on more than one occasion, and we had a good laugh. I bought his album (with Plantation Boogie) in the 50s, and now the album cover has his autograph. I have only been able to collect digital copies of Plantation Boogie and one other track, but virtually all of his earliest recordings (my favorite part of his career) are only available on vinyl. Maybe now that he's passed away, the rights to the early material will allow them to be released in digital form? I hope somebody will post them if the late 50s-early 60s stuff becomes available digitally. but I still play almost every day . The Great Organists may have passed on but they will live forever in my heart !!! Although not a personal friend I never met him. I did speak to him by phone back in 1981. I was hoping he would come to Chattanooga. He was at his night club--the Kings Inn. Thank you for your reply ... great to hear from someone who actually knew Lenny Dee so well. We are very fortunate to have had the "Lenny Dee experience" during our life. Frank: Now I know that I have a comrade in arms, I also have been having a hard time of the loss. There will never be another one. He set the bar too high for anyone else to take his place. I will cherish his music for the rest of my life. His "Last Waltz" breaks me up every time. YES, RIP, OUR DEAR AND BELOVED LENNY. Lenny was my hero when I was just a teen. I cherish his album he signed for me and love his technique. It is comforting to know he had a friend like you so I have someone else to appreciate my feeling of loss. Saw your article on Lenny Dee How nice! I wrote him several times in the 60's got responses and met him once at the Dolphin Den in about 1966 or 7 he had just got an X-66 I have a color picture of him playing it! As soon as I find it I will scan a copy to you. What a loss - Lenny Dee was one of my very favorites! Thanks for such a great article! I collect Hammonds I now have six all built in my recording studio! An organ for every mood Har! All those tributes to Lenny!! I visited your website. I recall this particular local DJ on his radio show about a year ago. Actually, he tried to call Lenny Dee on the phone but there was no answer. Lenny's music was played often at one time by one radio station I liked. That station went to a soft rock format some years ago, and Lenny's music along with a lot of other greats went too. That’s a great photo with you and Lenny on your Lenny Dee link in 1974!! I know you must have been very honored!! Can’t tell you how many times I thought about going to St. Pete so I could get to see Lenny Dee in person. filled with 20 cassettes of his old tapes and records. There's stuff in there that I never heard him play, and they were from the very early days in about '52 through '55. There is even a demo which he and Louis Armstrong made in New York in 1954! I've go tons of pictures of him, especially back in '64 when we first met [it was my high school graduation present to get to go hear him live]. 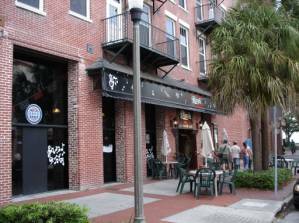 As you know, it was my great pleasure to have played at the Red Cavalier, in Redington Shores, just down the street from the master himself, for 13 years. My greatest possession is a picture of my opening night at the Cavalier, in 1977, with my bosses, me, and Lenny Dee and Lenny Dee, Junior, all gathered together in the lobby of the restaurant. That's the kind of guy Lenny was....big enough to be there for those of us who idolized what he did with and for the Hammond Organ. And I'm glad that you were there with John Kelly and the gang at the Cavalier often. Thanks, Frank. It's a great memory. Thank you so much for staying in touch. I had a remarkable experience similar to yours. In 1979, I worked for a major Wurlitzer dealer in Chicago. 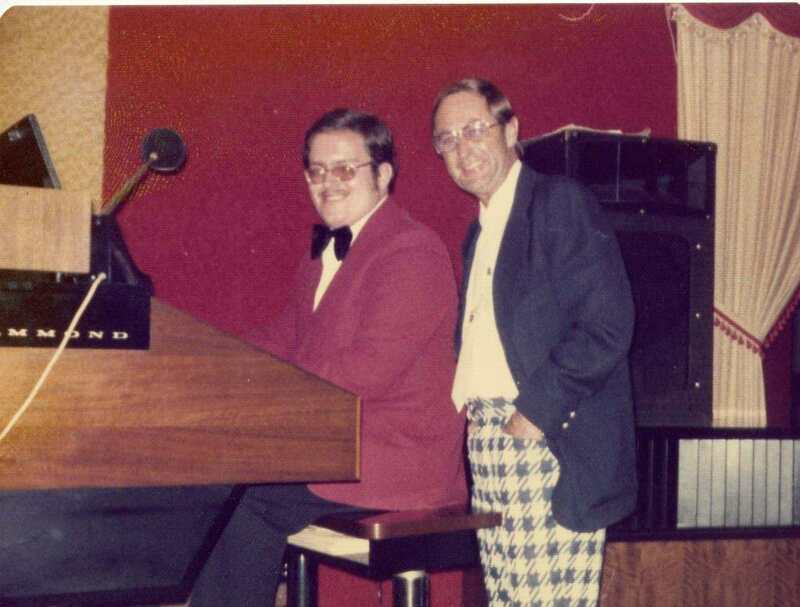 The Amateur Organists Association International (of which Lenny Dee was on the Board of Directors and I was a Professional Associate) held a huge Organ Extravaganza at the Hilton-O'Hare Hotel at which I was a demonstrator for Wurlitzer. 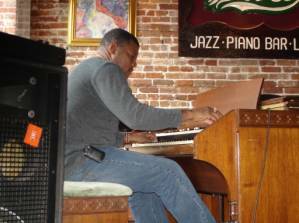 When Lenny went to the banquet room to set up his equipment on the Hammond B-3000 that was provided for him, I met him there and we chatted for a while. I told him that I was in the Wurlitzer room demonstrating organs and asked him to come see me. About an hour later, Lenny Dee walked through the door much to the astonishment of the Wurlitzer personnel. It was unbelievable seeing Lenny Dee leaning against the horseshoe of a Wurlitzer 630 watching me play! Somehow I kept thinking this should be the other way around. John Kelly and the gang were there as well, as they flew into Chicago for this event. That evening after the banquet, Lenny and the gang and I spent several delightful hours chatting in the lobby. Lenny then put on his show. These are golden memories that I will always cherish. There are many more, but this writing would then be larger than any book. Lenny was a great person! Please stay in touch. I am still playing also. Lenny's old model "A" was designed for him by organist Bob Tyo of Columbus, Ohio. Bob did all the electronic stuff that Lenny wanted, and Lenny added the two Voice of Music tape recorders, that gave him the "echo" sound. You will always be remembered. I have fond memories of you and of your wonderful personality and the best and most friendliest person I have ever known. You have meant so much to me. You’ll never be forgotten. You’ll always be in my prayers. May God be with you. Rest in peace. Lenny Dee Article Times 1983 pdf (2.0 mb). A UK Company have just this month (April) released a double CD comprising of four of his early Brunswick LPs. They are DEE- LIRIOUS / DEE-MOST / DEE-LIGHTFUL and DEE-LICIOUS. All copies are complete and this totals 48 tracks of some of his memorable playing which, can you believe, are just 50 years old. Sadly, what was meant to be a big surprise for this great artist, did not turn out that way as he passed away only weeks before the recording was back from the pressing plant. Check out www.organ.co.uk for a very fast and efficient Mail Order service. The title, suggested by a UK Lenny fan is DOUBLE-DEE-LIGHT. BY NOW I GUESS EVERYONE IS AWARE THAT A RECORD COMPANY IN THE UK HAS ISSUED A DOUBLE CD COMPRISING OF THE FIRST FOUR MONO LPs THAT WERE MADE BY THAT GREAT PIONEERING HAMMOND ORGANIST, LENNY DEE. DUE TO THE SUCCESSFUL SALES FIGURES, THE SAME COMPANY [JASMINE RECORDS] HAVE NOW RELEASED A SECOND LENNY DEE DOUBLE ALBUM, WITH THE NEXT FOUR MONO LPs THAT HE MADE. THIS SECOND RELEASE IS EVEN MORE INTERESTING BECAUSE IT CONTAINS A NUMBER OF HIS ORIGINAL 78rpm RELEASES ... SOME OF WHICH ARE VERY RARE, AND ALL OF WHICH HAVE BEEN RESTORED TO SOUND BETTER THAN WHEN THEY WERE FIRST RELEASED OVER 50 YEARS AGO. YOU CAN CHECK OUT ALL THE DETAILS BY GOING TO WWW.ORGAN1ST.COM. THIS WILL TAKE YOU TO THE PAGES OF A UK COMPANY CALLED MSS STUDIOS WHO OFFER A VERY FAST, RELIABLE MAIL ORDER SERVICE TO ANYWHERE IN THE WORLD. FOLLOWING ON FROM THOSE TWO RECORDINGS, JASMINE THEN RELEASED 'JACKIE DAVIS - JUMPIN HI-FI HAMMOND' WHICH COMPRISES OF THE FIRST FOUR MONO LPs THAT THIS WONDERFUL SMOOTH JAZZ STYLE ORGANIST RELEASED FOR CAPITOL RECORDS. FOR YEARS ALL THE RECORD COMPANIES, WITH ONE EXCEPTION, HAVE IGNORED RELEASING TRACKS BY JACKIE DAVIS. THERE IS ALSO SOME EXCITING NEWS ABOUT ANOTHER FAMOUS ORGANIST AND I HOPE TO INCLUDE PRE-RELEASE TRACKS IN THE MAY EDITION OF MY MONTHLY PODCAST. IF YOU ENJOY ALL KINDS OF ORGAN MUSIC THEN I INVITE YOU TO VISIT THE ABOVE WEB PAGES AND CLICK ON THE LINKS TO MY ONE HOUR SHOWS, WHICH ARE CHANGED ON THE FIRST DAY OF EVERY MONTH. IT HAS TAKEN A LONG TIME TO GET A RECORD COMPANY INTERESTED IN THE KIND OF MUSIC THAT WE ALL ENJOY, AND SO AFTER YOU HAVE PURCHASED COPIES OF THEIR RECORDINGS, WHY NOT USE THE SPECIAL CARD THEY INSERT IN EACH RECORDING, AND TELL THEM HOW MUCH YOU APPRECIATE THEIR DECISION TO RE-RELEASE SOME OF THE MUSIC FROM ORGANISTS WHO HAVE GONE, BUT WILL NEVER BE FORGOTTEN. A group of family, friends and musicians gather at a tribute concert for Lenny Dee, who died at age 83 in February. ST. PETERSBURG - From outside Dino's Jazz Piano Bar & Grille, Georgia Dee could hear someone singing Georgia, her dad's favorite song, and playing an organ, her dad's instrument. "He used to cry when he played this," she said. "It makes me cry when I hear it." The music was part of a tribute concert in honor of Lenny Dee, who died at age 83 in February. Dee, or "Mr. Entertainment," wrote the platinum '50s hit Plantation Boogie. The Nashville recording artist covered hundreds of pop and country standards for MCA Records. And he owned several Tampa Bay area beach nightclubs. The tribute was organized by Tom Holter, 72, a radio personality who was upset Dee's death didn't attract more local attention. 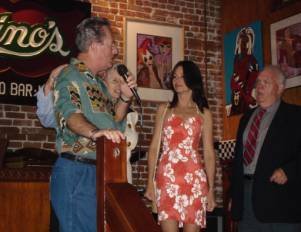 A mix of musicians were lined up to play in Dee's honor, and a $5 cover charge went to Dee's favorite charity, Friends of Strays. "He loved animals, and he always had a little dog by his organ," said Jean Bomonti, 82, one of the organization's founders. That dog, a black poodle named Muffy, was one of many animals in the Dee house, said his widow, Hendrica Dee, 69. In 1958, Gary Howard, now 68, was a radio DJ in New Hampshire. "That was before rock 'n' roll, so, consequently, you played a lot of big band stuff and Lenny Dee," Howard said. Lenny Dee’s daughter, Georgia, and widow, Hendrica, talking to a reporter. Lenny Dee, Jr. telling one of Lenny Dee’s jokes from his show. Shawn Brown was one of several musicians who played at the tribute. Dino’s Jazz Piano Bar & Grille where the tribute was held.